Fly fishing on the Madison River in the summer is one of the classic Montana fly fishing trips every angler needs to experience. 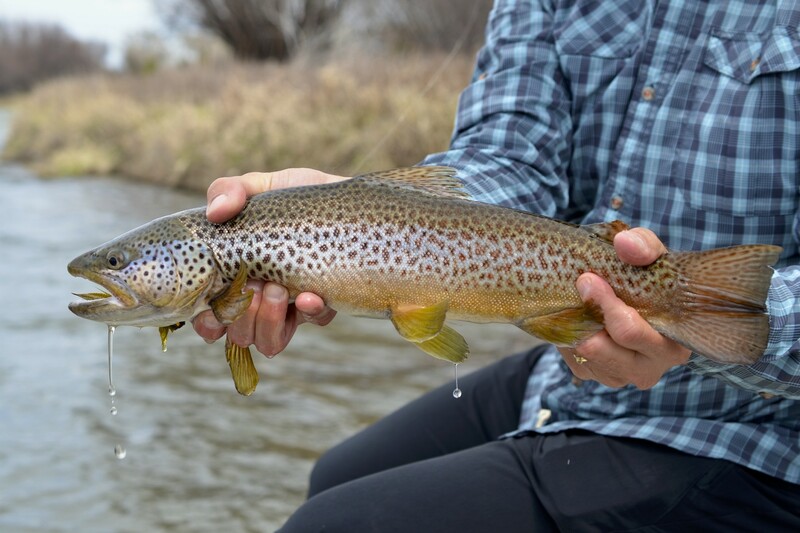 From Hebgen Lake to Ennis Lake, the 50 mile riffle stretch of the Madison River runs cold and clear through the town of Ennis, Montana, one of the trout capitals of the world. The summer fly fishing options are endless here. There is great wade fishing from the Slide down to Lyons Bridge, float fishing from Lyons Bridge to Ennis, and more great wade fishing from Ennis down to Ennis lake. There are big brown trout and rainbow trout feeding from bank to bank, hiding behind the many rocks and boulders that are characteristic of this blue ribbon river. There are too many hatches to cover here. Think Caddisflies, big mayflies, little mayflies, Salmonflies, Goldenstones, hoppers, a variety of ants, and enough others to fill up an entymology textbook. Dryflies, nymphs, and streamers all work well throughout the summer with each having its star moment at different times. Fly fishing the Madison river during the summer is a classic experience both our Madison River fly fishing guides and anglers treasure.